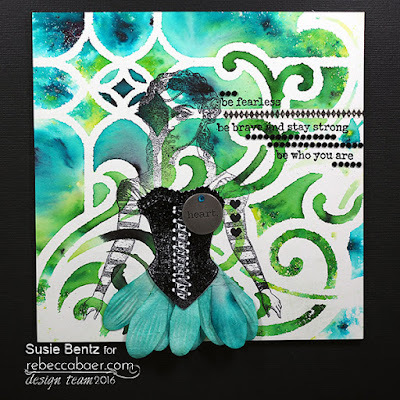 Susie here today to share a project I created by combining one of Rebecca Baer's collage stencils with Ken Oliver's Color Burst powders. 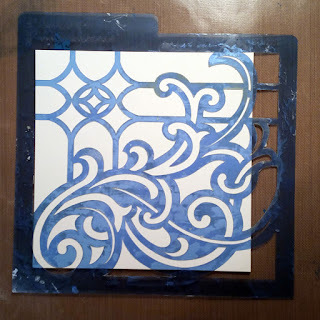 I started by laying the stencil on top of a 6"x6" piece of Mixed Media Art Board. 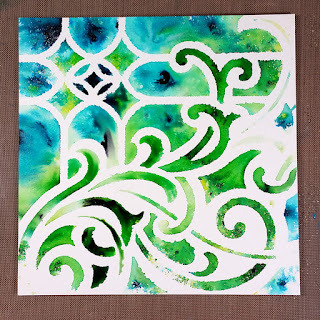 I chose Turquoise, Chartreuse and Lime Green Color Burst and sprinkled the tiniest amount of concentrated powder into the openings of the stencil. 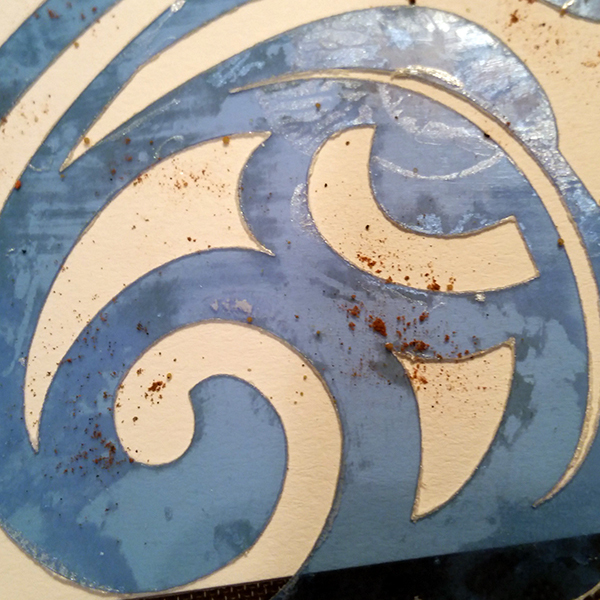 Next came my favorite part! 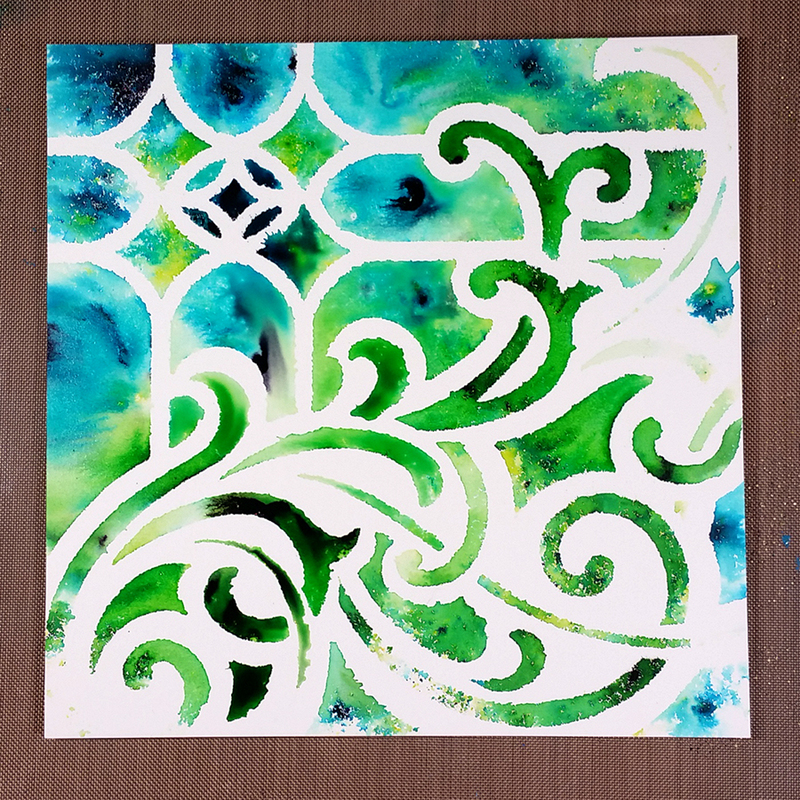 As I spritzed it with water I could see the colors activate and start to blend! I removed the stencil and let it dry thoroughly. 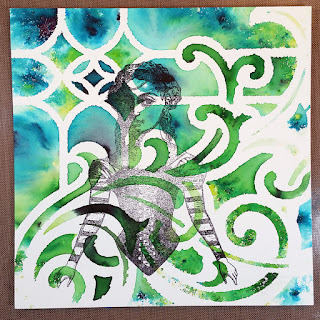 Using waterproof, permanent black ink, I stamped a female figure directly onto the art board. 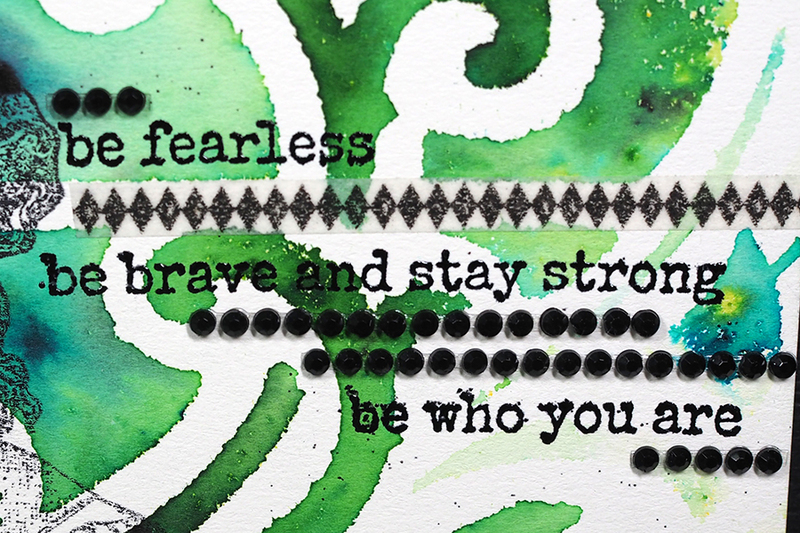 I re-stamped the image onto white cardstock and then heat embossed it with black embossing powder. 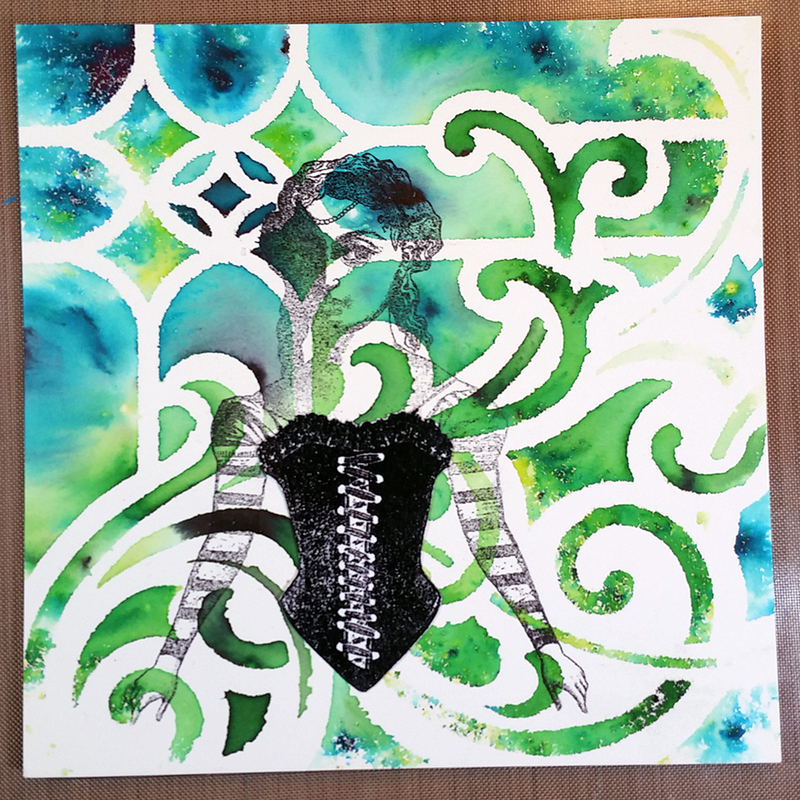 I trimmed out just the corset area of the figure and adhered it on top of the original stamped image. 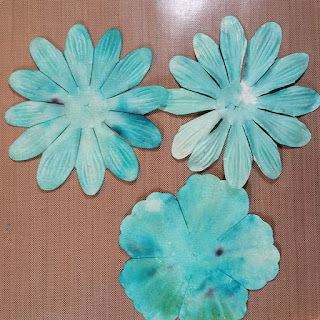 I used the Turquoise Color Bursts to color these flowers and then cut them apart to create a skirt for my figure. 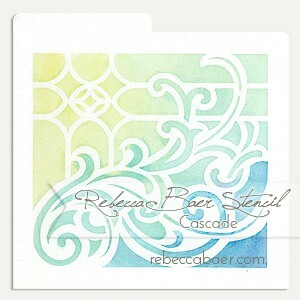 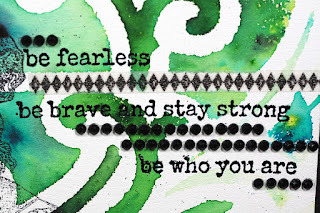 I used a heat gun to make sure the background was completely dry before I stamped and heat embossed the sentiments. I added horizontal lines with washi tape and 3mm black rhinestones. 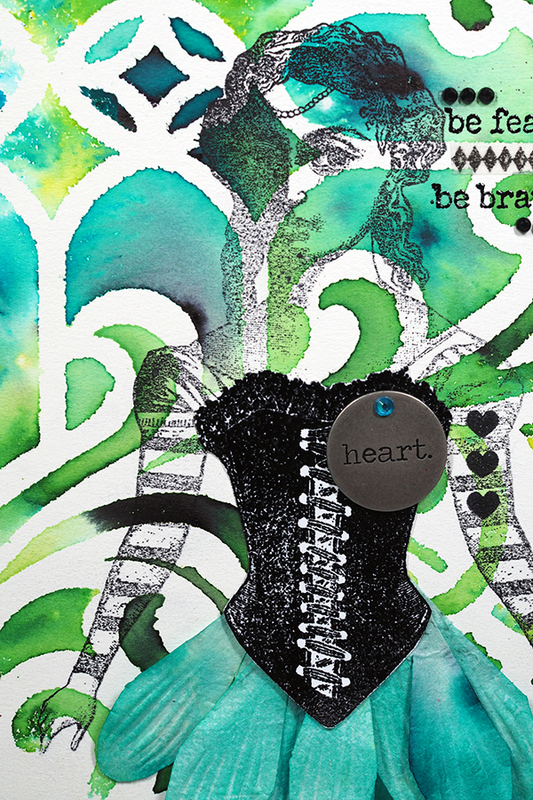 To finish things up I adhered an engraved metal token and a piece of turquoise rhinestone over the heart of the stamped image and stamped some tiny hearts on her sleeve.